A monument commemorates the European discovery of Lake Macquarie by Captain WIlliam Reid in July 1800. Lake Macquarie was first encountered by Europeans in 1800, when Captain William Reid, who had been sent from Sydney to retrieve a load of coal from Newcastle Harbour. Reid took a wrong turn and found himself in a lake rather than a river, with no coal to be seen anywhere. 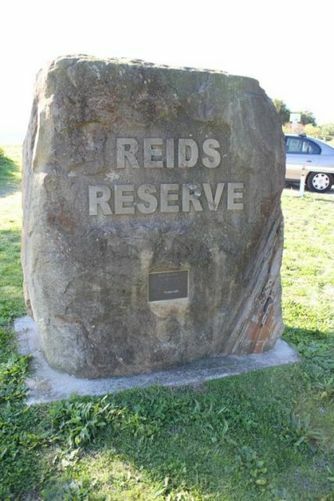 The name "Reid's Mistake" was retained until 1826, when it was renamed in honour of Governor Lachlan Macquarie. This plaque commemorates the European discovery of Lake Macquarie near this spot by Captain William Reid in July 1800. In celebration of the City of Lake Macquarie Bicentenary in 2000.